Extraordinary living in a gated and hidden cul-de-sac location in the heart of Yorba Linda! Experience superior craftsmanship, design excellence and the true fulfillment of what home should be. Welcome to Newbury — inspired living with unmatched comfort and luxury brought to you by Brandywine Homes. 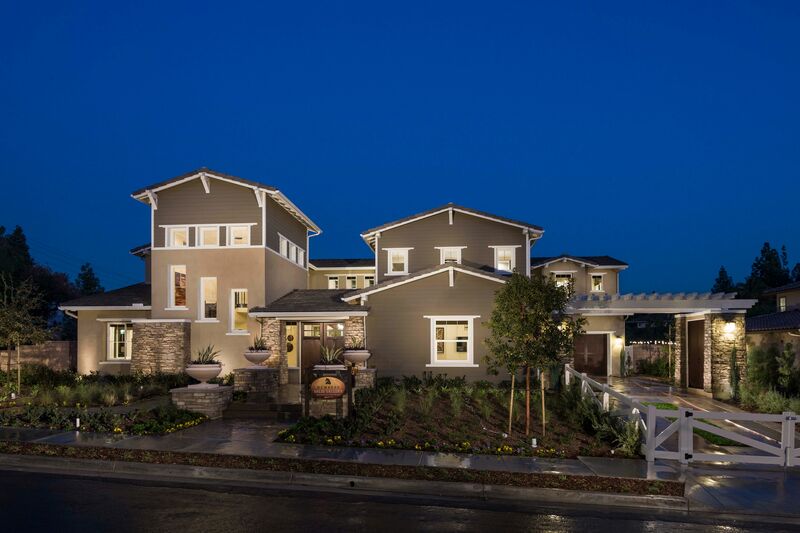 These 5-6 bedroom new homes for sale in Orange County, CA offer expansive homesites, timeless architecture, modern thoughtfulness, and hand-selected finishes that complement growing or multi-generational families. The ideal setting of Yorba Linda offers walking access to; the NEW "Yorba Linda Town Center", lectures, events, and book signings at the Presidential Nixon Library, while providing a tranquil and scenic location for your active family lifestyle. Education takes prominence here with an award-winning school district, Cal State Fullerton, Fullerton College and nearby Chapman University. Enjoy great dining, shopping and entertainment at Brea Mall. Disneyland, Honda Center, and Angels Stadium are also close. Live life to its fullest at Newbury today.